I've used a few Pixi products for years, but never really experimented with their range until this year. 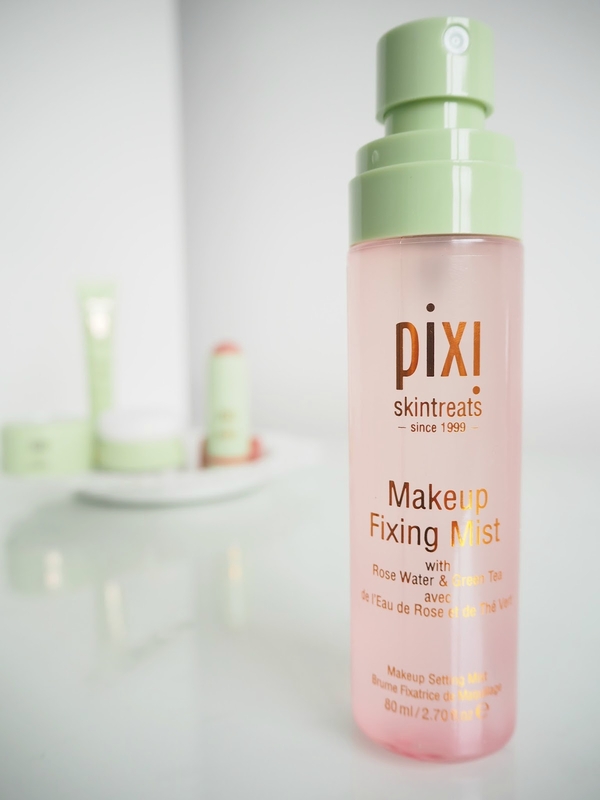 For the past three months, I have introduced four Pixi products into my makeup routine, all of which I have really been enjoying. Pixi describe these four products as their Summer essentials, and I definitely have to agree, however when Summer is over, I will be continuing to use them all! 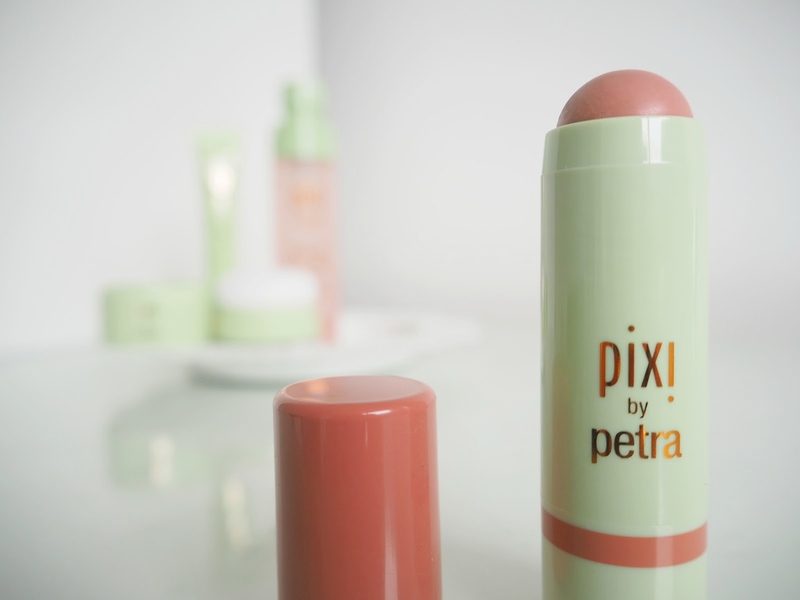 Multibalm: I first tried the Pixi Multibalms at the end of last year, and have been using them on and off ever since. This Summer though, I have found myself grabbing this particular shade every time I need a quick makeup fix before dashing out the door. 'Baby Petal' is the prettiest brown/pink shade, which looks natural yet glowy and fresh on my pale complexion, ideal for pretty Summer makeup looks and for tranisioning your makeup towards the Autumnal season. As the name suggests, the Multibalms can be used in a multitude of ways; on the cheeks, on the lips, even on the eyelids if you wish... perfect if you like a pulled together, matching look, or if you're in a rush like I usually am! The formula is infused with aloe vera, shea butter and rosehip oil, making them gentle and caring for the skin and has a cream to powder finish when applied. The colour blends really easily with finger tips, brushes or sponges, and can be worn really subtly, or built up for a deeper colour payoff and bolder look. 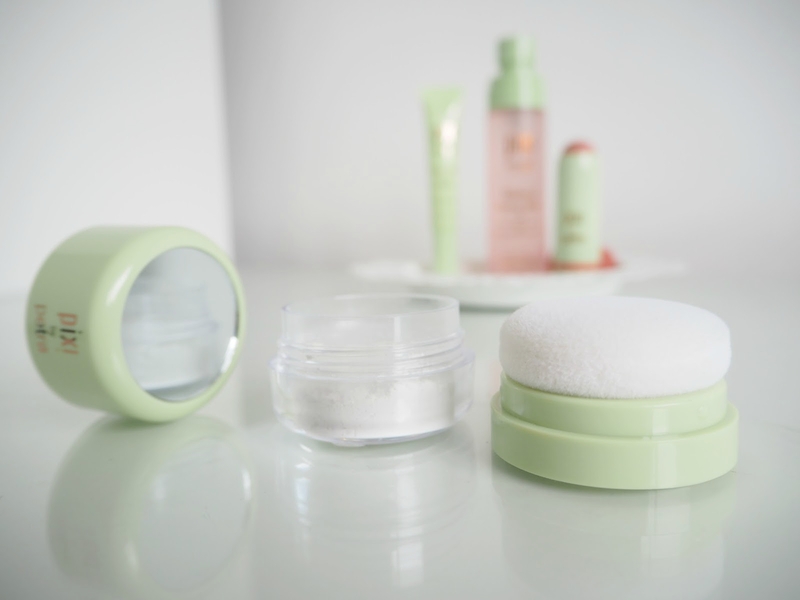 Quick Fix Powder: For a long time, I have been searching for a translucent powder which will help to set my makeup and last all day without clinging to the dry patches on my skin or separating as the day goes on. I have been enjoying using the Rodial powder, but the need for a really good quality loose powder has been at the forefront of my mind for a while. 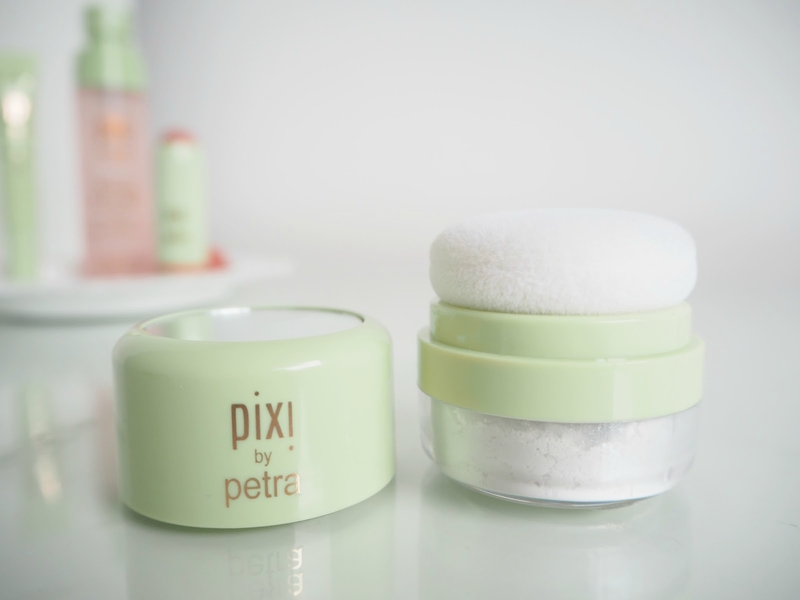 Described by Pixi as 'invisible and lightweight', I just couldn't think of better words to use to try and portray how the powder is... It's featherlike in weight, both in the pot and on the skin and it applies seamlessly when buffed in with the sponge applicator or with a brush. I wear this on top of my foundation and concealer, to set everything in place, and it leaves my skin feeling velvety soft to touch, and manages to settle on top of my foundation without being seen, yet leaves a flawless finish to my skin. The powder is formulated to set makeup in place, to control oil and shine and to combat excess sebum and it contains aloe vera and cucumber extract, making it extremely kind to the most sensitive of skin types. As it is so fine, it is suitable for dry and oily skin types (or anything in between) and thanks to it's invisibility, it suits most skin tones too. The packaging also deserves a mention... The built in product, applicator and mirror are perfect for popping into a makeup bag for travelling or into your handbag for any daytime touch ups and they have cleverly made the sponge removable for easy cleaning. Makeup Fixing Mist: Before this Summer, I had never tried a makeup setting spray of any kind. I kind of viewed them as an unnecessary product for my makeup routine, but when it comes to hot Summer days, I couldn't have been more wrong, and I can only say that I wish I has given them a try sooner! With a quick spritz of this allover my face after applying my makeup, not only is my skin refreshed, but my makeup is held in place, ready to battle the sun and heat we've been having recently. I have noticed that this prevents my makeup from settling into my pores and fine lines really well and it gives the smoothest, almost blurred finish to my makeup, no matter what products I'm wearing. As my skin can get quite tight and stressed, an added bonus is that this is a really gentle mixture of ingredients and the addition of rose water and green tea really help to comfort and calm my skin when it's feeling sore... I have even been known to keep this in my fridge for using on none makeup days just for a burst of hydration and an instant refresh. 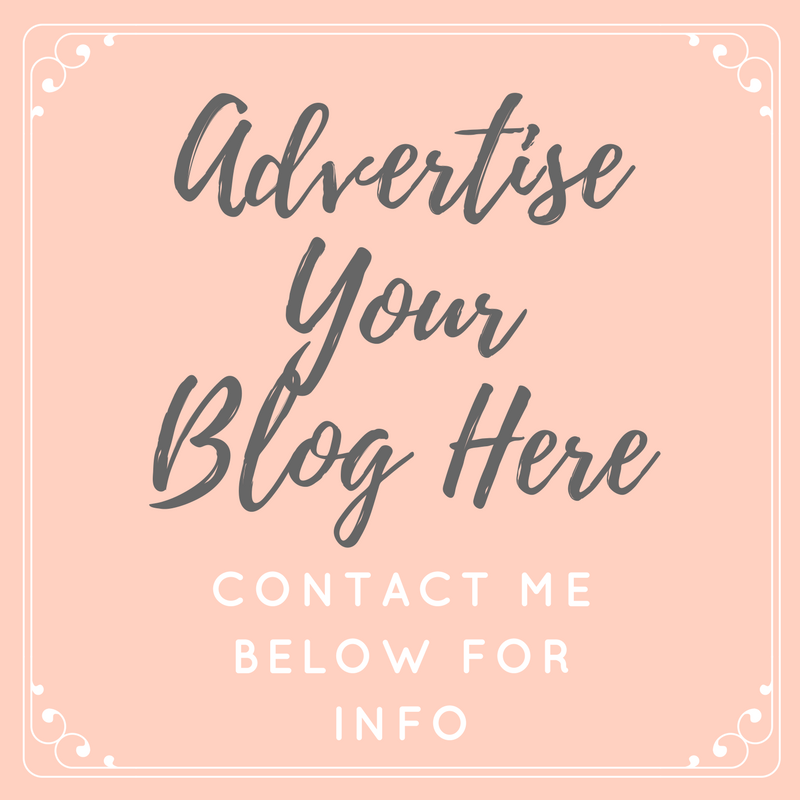 Nourishing Lip Polish: There is nothing I hate more than dry, cracked lips... usually a problem throughout the colder months, but when the weather is hot, I suffer too. I think it's because my skin and lips get dehydrated from the heat, and I'm just so sensitive. The Nourishing Lip Polish has been working wonderfully for me, in that it is very soothing thanks to the ingredients of shea butter, sweet almond oil, apricot oil and evening primrose oil. It's really luxurious and sinks into the lips, hydrating and nourishing as it does so. The applicator is soft, with exfoliating and massaging bumps on it, which work the product into the lips and stimulate blood flow, giving a fuller look to the lips too. Since using this, I have found that my lips heal faster and feel really smooth all of the time. 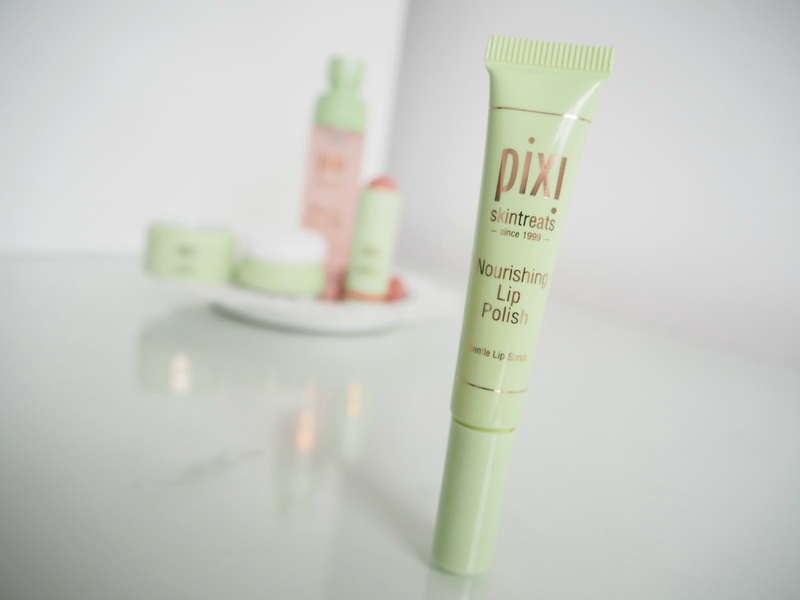 Do you use any of these, or any other Pixi products?